Welcome to the International Association of Eating Disorders Professionals Foundation! iaedp™ Symposium 2020's program is being created by a group of professionals like you who work in therapeutic settings with patients. It is our goal to provide an exciting, quality program that is applicable to your needs when working with patients. Another goal, however, has to do with your experience at the conference. We select locations that provide a vacation-like experience. As part of registration, we offer breakfasts, lunches and parties at the end of learning days that allow you to reconnect with colleagues to relax and network. 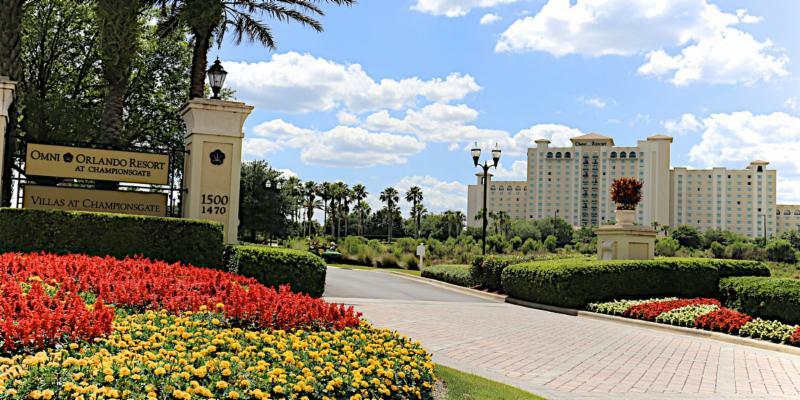 Surrounded by 36 holes of championship Orlando golf, the Leadbetter Golf Academy World Headquarters and 15 acres of recreation, this Four Diamond resort is one of the nation's premier golf, meeting and leisure retreats equipped with every modern convenience and a host of luxury amenities. You may choose to relax in the signature Mokara spa, dine in one of the seven restaurants or enjoy 15 acres of pools and recreation activities including a 850-foot lazy river. The resort offers secluded luxury, yet easy access to area attractions like Walt Disney World, Universal Studios and SeaWorld. Complimentary scheduled shuttle transportation is provided to the Walt Disney World® Theme Parks. The resort is located just 25 minutes from the Orlando International Airport and 20 minutes from Universal Studios and SeaWorld. The Omni at ChampionsGate will treat you to an experience that is truly a world apart. Make your plans to leave the rest of the world behind! Join us at iaedp™ Symposium 2020 for another exciting program in a luxurious setting. The Annual "Imagine Me Beyond What You See™" Mannequin Body Image Art Competition is an awareness through art campaign, held in conjunction with iaedp's Annual Symposium. It is designed to promote a healthy awareness and acceptance of body image. The use of mannequins provides a unique palette from which to explore feelings and express creativity. Announcing the new iaedp™ Bookstore! We are pleased to provide quick and easy access to a collection of member authored publications as well as both required and suggested reading for iaedp™ Certification and Educational Designation available for purchase. Make sure to check out this one-stop-shop today! Want your book included? Details are in the Bookstore!